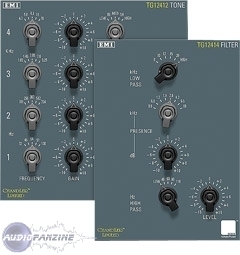 TG Mastering Pack, Other software EQ from Abbey Road Plug-ins. Abbey Road Plugins has announced that the AU and VST versions of the TG Mastering Pack are now available. TG Mastering PackThe TG Mastering Pack comprises emulations of the Tone Control and Presence/Filter EQ modules from the TG12410 transfer console, which has been the centrepiece of Abbey Road's mastering rooms since the early 1970s. The plug-ins bring the smooth, musical sound of the original TG hardware to users of computer-based audio workstations. The TG12412 plug-in is a four-band, semi-parametric EQ with selectable frequencies and curve shapes on each band. The Shape control provides the shelving and variable bell curves from the original module. The TG12414 plug-in provides a presence section and low- and high-pass filters. The presence section is the same as the presence EQ on the legendary TG12345 mixing console. Selectable curve shapes on each band. Presence band and variable low- and high-pass filters. Exact replication of original TG controls. Automation and control surface support. 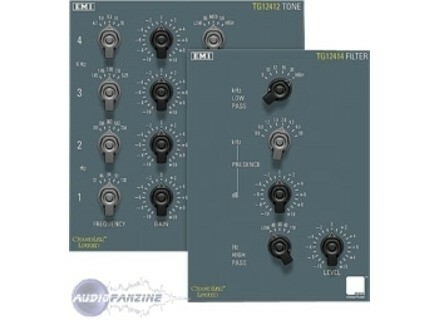 The TG Mastering Pack for AU, VST and RTAS is priced at $335 and is compatible with Mac OS X and Windows. A TDM version is also available, priced at $560. The AU/VST versions are compatible with the existing LE license, so customers who already own the RTAS license can simply download and install the new AU / VST software. 10-day demo versions are available (iLok required). IK Multimedia StompIO Double Switch IK Multimedia announces the shipping of a new range of accessories dedicated to the brand's StompIO controller, which is aimed at controlling Amplitube. IK Multimedia StompIO Expression Pedal IK Multimedia announces the shipping of a new range of accessories dedicated to the brand's StompIO controller, including this StompIO Expression Pedal. SPL Launches Analog Code Plug-Ins SPL of Germany will present their first software plug-ins on the 125th AES Convention in San Francisco: The Transient Designer and a series of EQs.